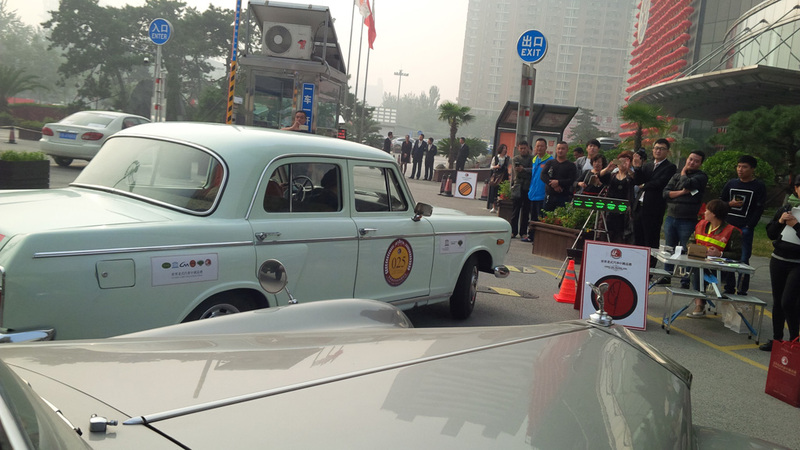 Participants Toni Bienemann (Hooper International) and Edwin Roos drove a few thousand miles through the inland of China with a 1965 Rolls-Royce Silver Cloud III, below their report. 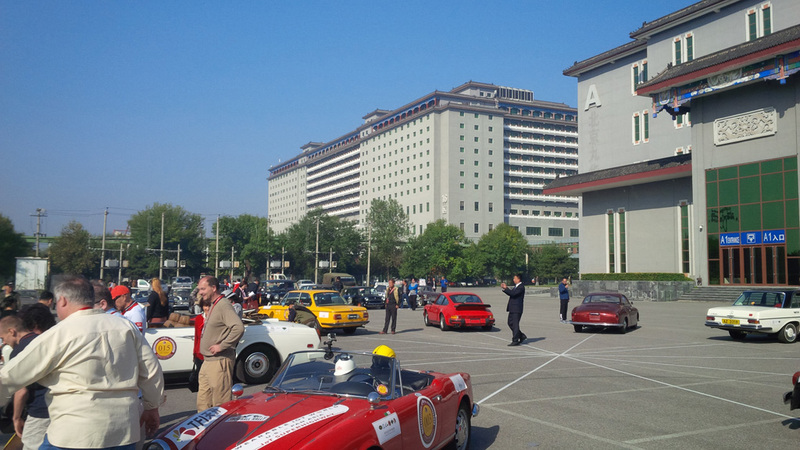 Upon arrival we went to the traffic police office in Bejing airport. 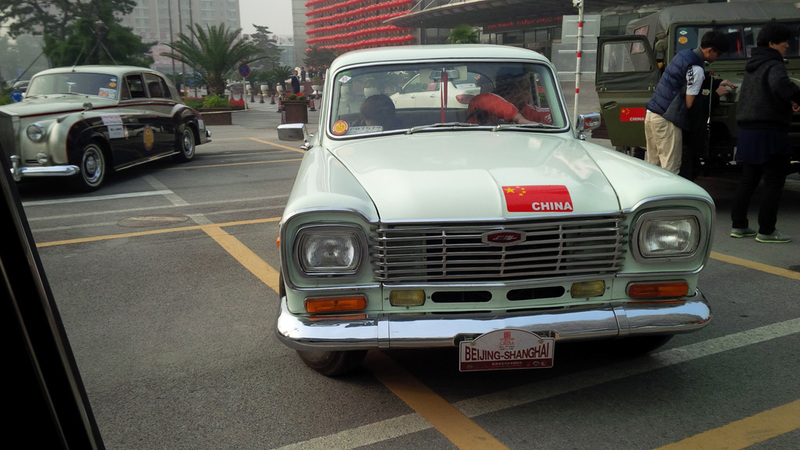 After a medical check we received our Chinese temporary driver’s licence. 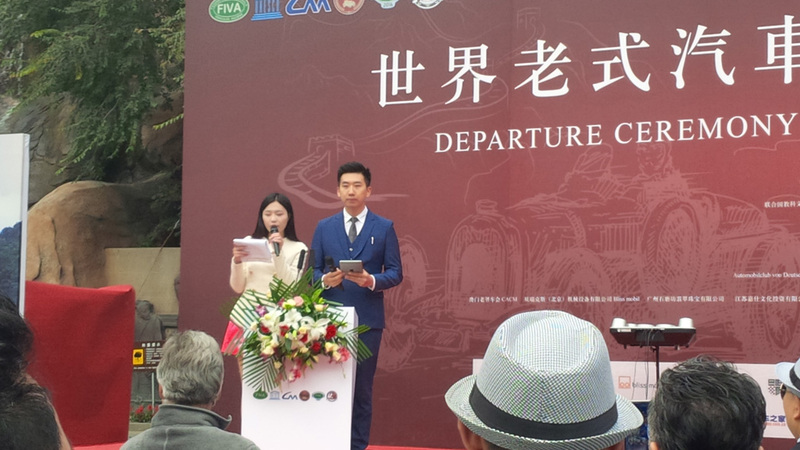 (The necessary explanation of Chinese traffic rules as far as deviant from the international jurisdiction forms part of the procedure. Instructions on that were given the next day by a traffic officer). We were lodged afterwards for the coming three days in a hug‎e resort north of Bejing ( whichs’ surface is a mere 185x165km, 22million inhabitants). The resort consists of several huge hotel blocks (300×300 meters) which each holding a capacity of over a 1000 rooms with function, convention and ball rooms of a size unknown in Europe. The blocks are connected by monorail trains some 8 meters above ground level, unfortunately not in operation anymore.‎ Possibly the initial function of the complex for gatherings of the numerous delegates and elite party members of the communist party, now somewhat more sparingly used for that purpose. 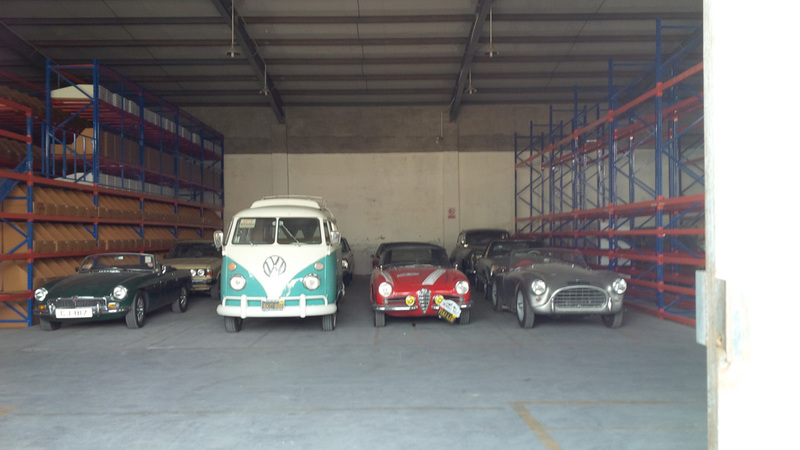 The following day we ‎went to collect the cars from a nearby warehouse and we became acquainted to our fellow rallye participants. Of the approximately 45 teams, 3 are European (one couple from Belgium, one from Germany and one from The Netherlands). 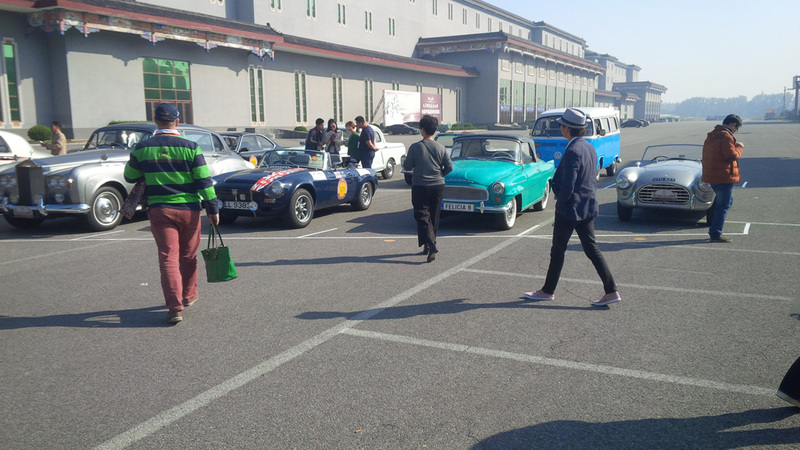 Ten couples are from Hong Kong (mostly Members of the Hong Kong Classic Car Society) with 4 britisch nationals, a french couple and 6 Hong Kong or Guandong nationals. The remaning 30 or so equippes being mainland Chinese. 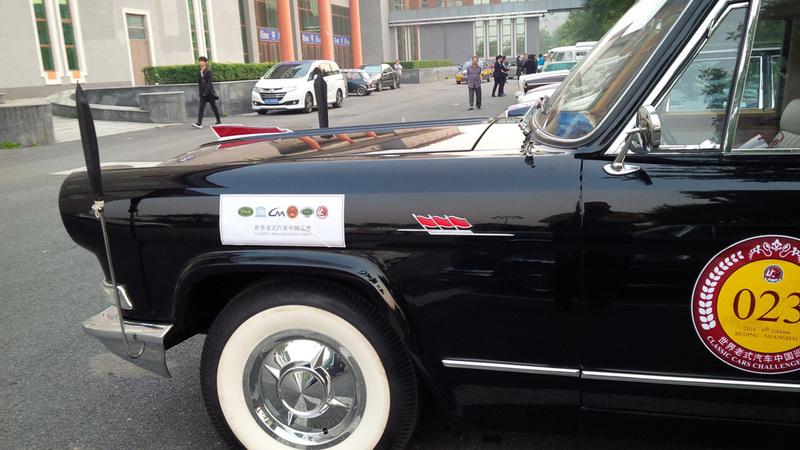 After a technical inspection of the vehicles in the afternoon, we received our local number plates. The next day a photo session in the morning was done on one of the very wide parking lots/parade avenues. Later during the day was for a sightseeing tour to the Forbidden City and the Summer Palace (a one and a half hour drive from our northern hot springs resort to the center of Bejing). A colorful mix of cars. 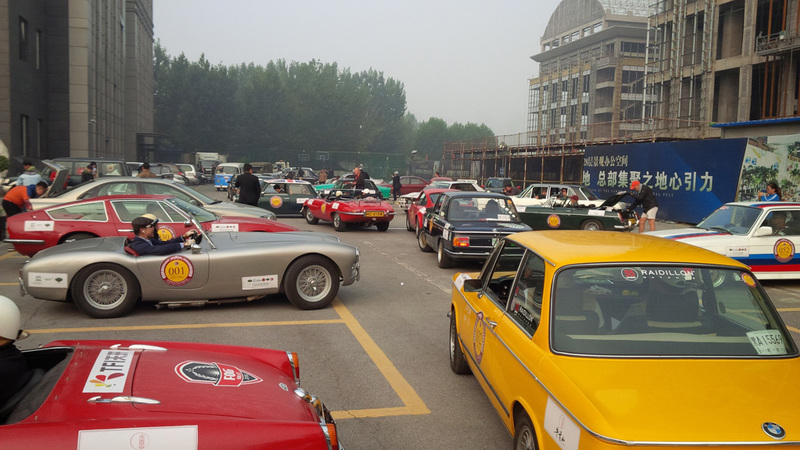 The Hong Kong teams often entering with youngtimers and renowned classics like BMW M3, 635CSI, Porsche Carrera, 356, Mercedes R107 500sl AMG, W108, W111 280 SE coupe, W 140 500 CL, Rolls-Royce Silver Cloud II and III, Corniche Convertible‎, MG, Subaru, Jaguar E-type (first series with the 4.2 liter engine, only some 600 produced, Lancia Delta Integrale in full Rallye gear and Martini livery. 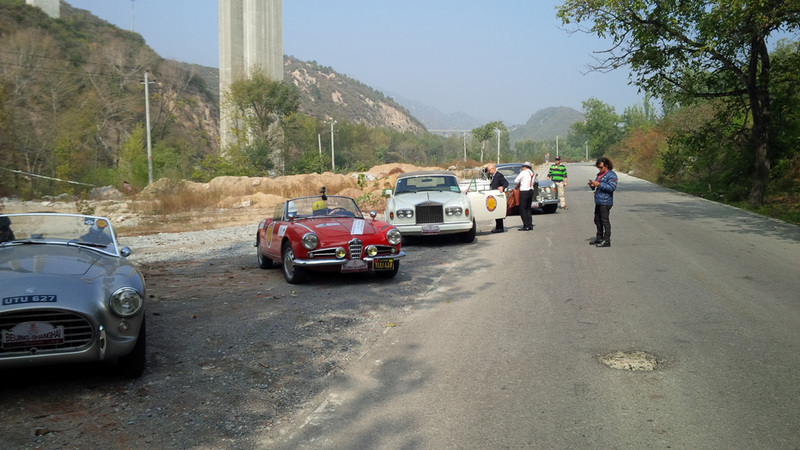 ‎From the European side a Rolls-Royce Silver Cloud III (us), a beautiful Mercedes Pagode 280 SL and a Volkswagen Karmann Ghia. 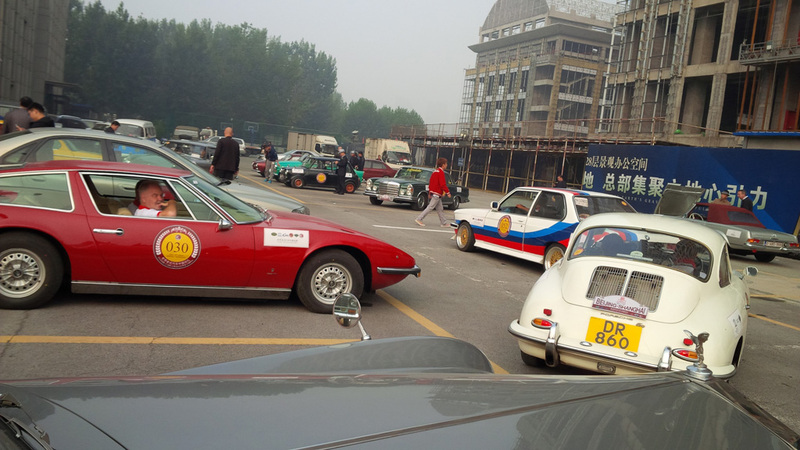 The Chinese teams having a variety of vehicles, young timers and renowned classics as above and some very authentic vehicles of Chinese build like the Shanghai and a magnificent sixties HonqQui (Red Flag) which can compete in size and impressiveness with most post war luxury brands like Bentley, Rolls-Royce, Cadillac and Lincoln. 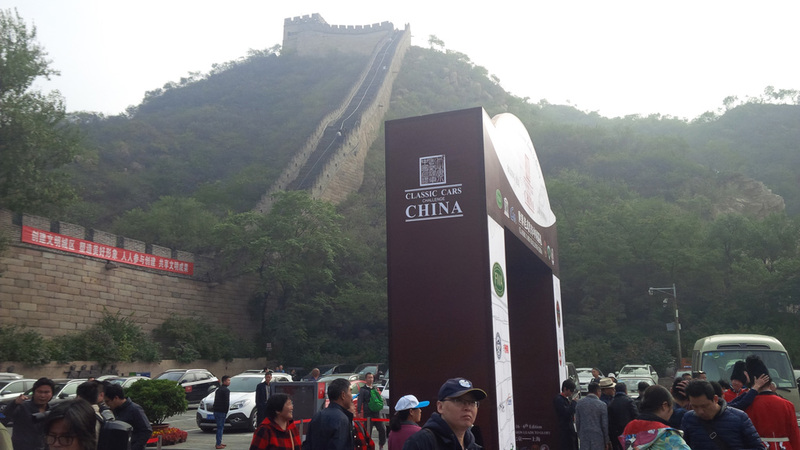 After an early briefing at 7.00h we commenced our way to Badaling, one of the three enter points to climb the Chinese wall. At the foot of the wall the opening ceremony draws a good audience of the tourists. The roadbook is the dot-arrow system with control points and time checks. 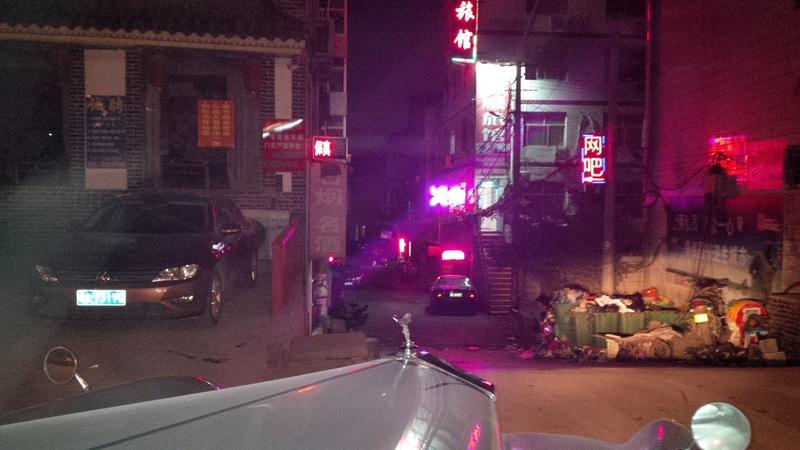 Today we drive a span of 7 hours to Baoting. 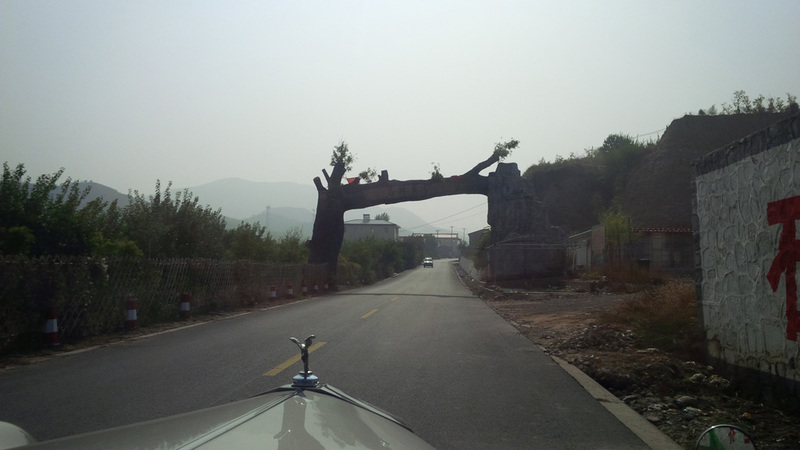 We continue our route through the beautiful mountains of Badaling. A varied landscape with canyons, karst formations, Mediterranean-style stone mountains with sparse vegetation, then areas with lush red ivy. Further south a sudde‎n burst of flowers lining the road. The first few miles we expected it to end in a village or resort. We did not know then that this flower lining would accompany us for the next 150km! In the midst of it the reason was revealed. A huge leisure resort and flat like billboards, explaining the governmental touristic development p‎lan with the size of a small European country. 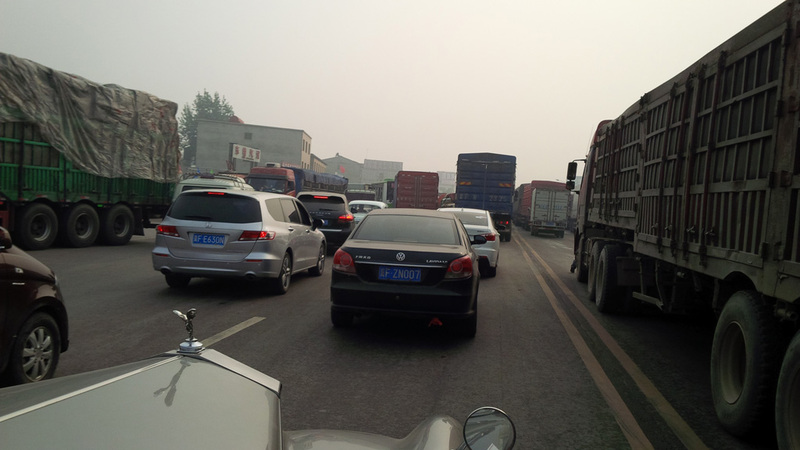 The more we approache Baoting the denser the traffic, and we had to speed up to finish in the right time window. The window is: if you are 1 second or more to early, you will have severe point deduction starting with 100 going up to 5000. You can enter neutral within a five second window. Late(r) arrival in the first five minutes will give light penalty points (10)‎, getting higher the later one arrives up to 5000. 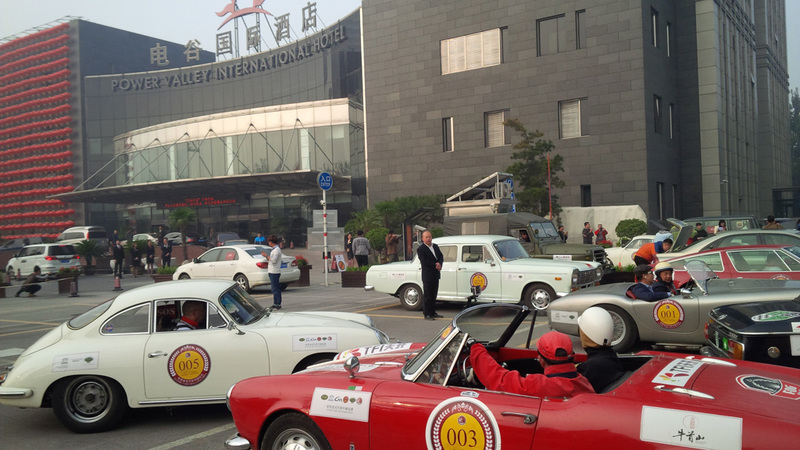 ‎After ten days of crossing China in our Rolls-Royce, the Classic Cars Challenge China (4C) 2016 has left an indelible impression on us. The rally system (dot-arrow) was not too difficult, but finishing in a metropolis is not easy. 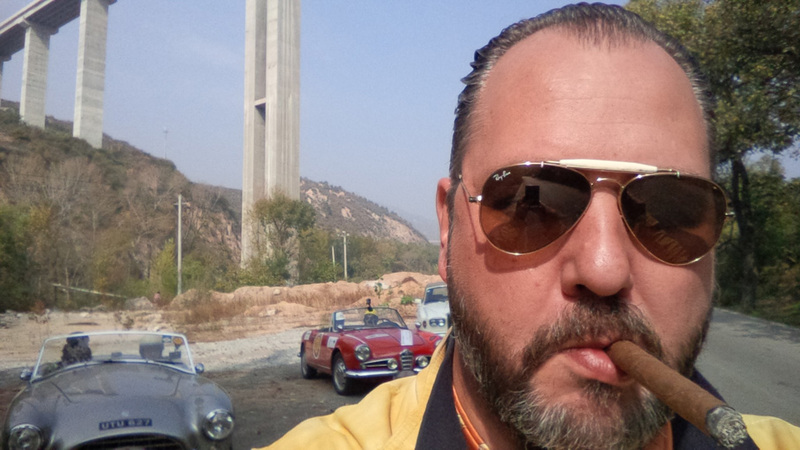 The road network around the cities in China is particularly challenging with a tangle of turns and so it also happened to us to take a wrong turn the last day. Result: more than 1 hour late and 5,000 penalty. 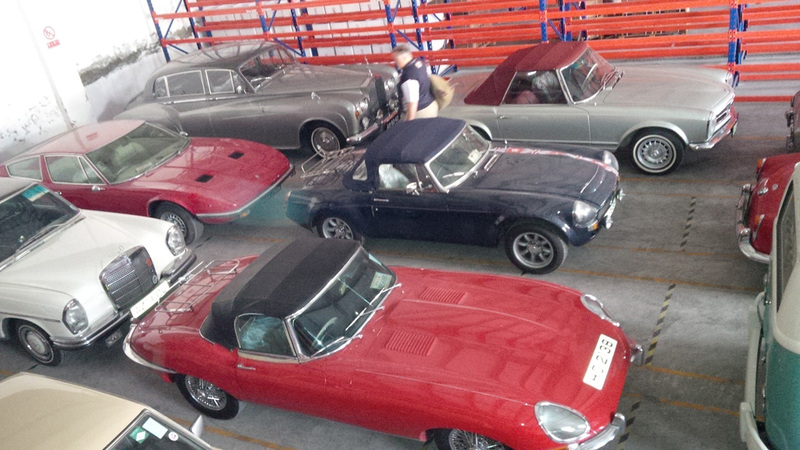 Especially the Hong Kong car Club members were doing well. 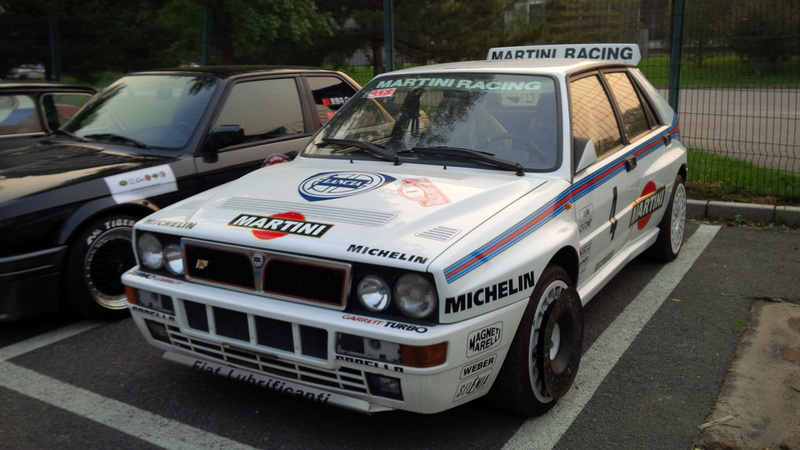 So again a competitive field in this internationall rallye. 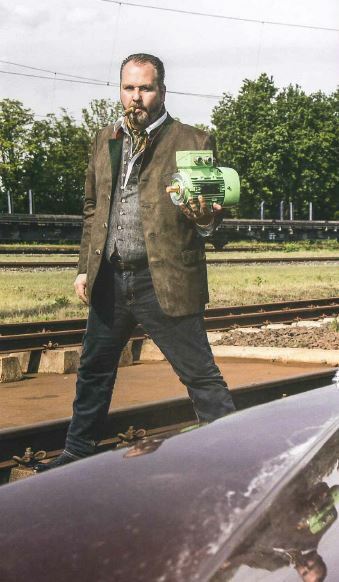 Maximum concentration (also on the sometimes chaotic traffic) is the motto, every second counts! 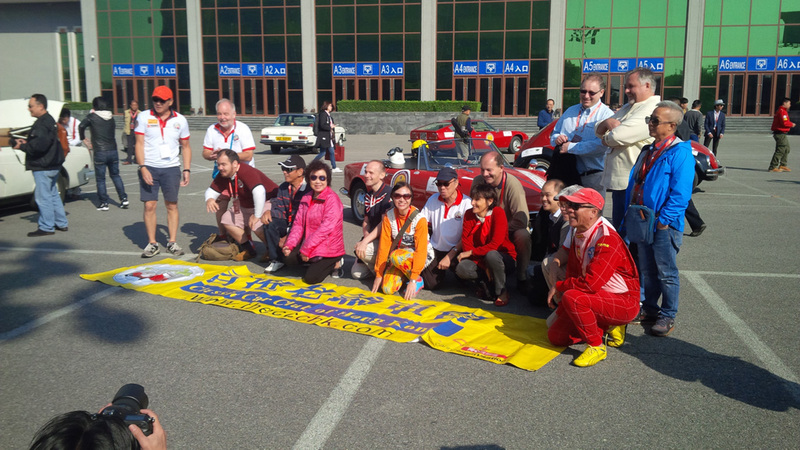 We have ended this wonderful 4C rally with a 14th place. 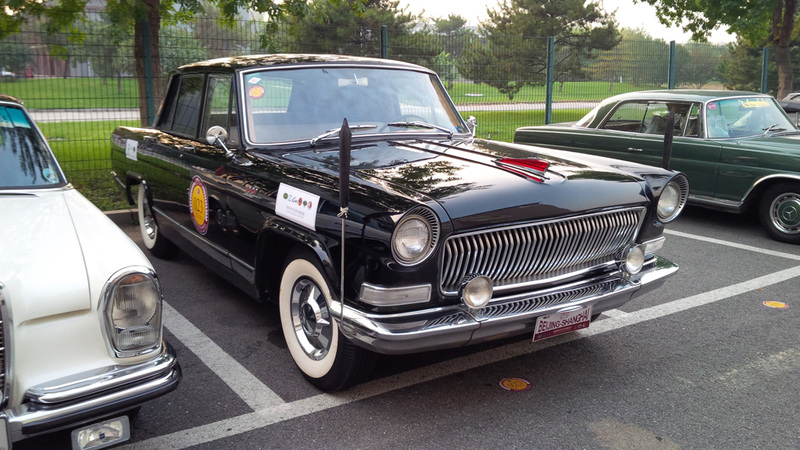 All concerns about transporting the car by boat to China were in vain; the car was neatly transported and delivered in Beijng. 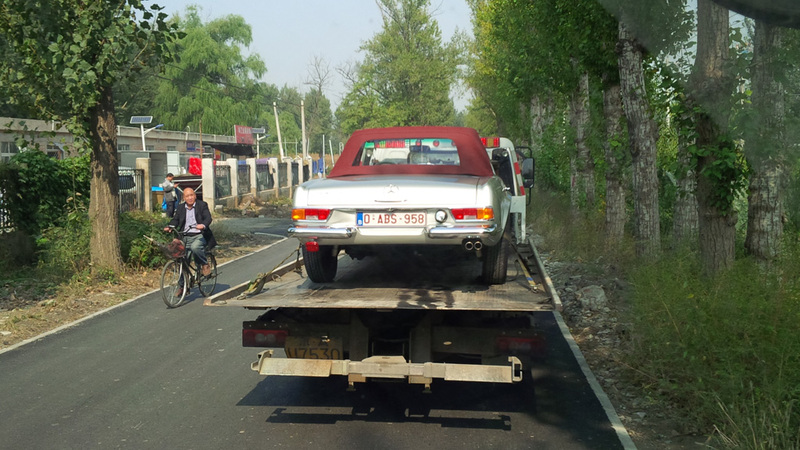 Last Thursday, the car was already picked up for transport to the port of Shanghai for transport to Rotterdam. 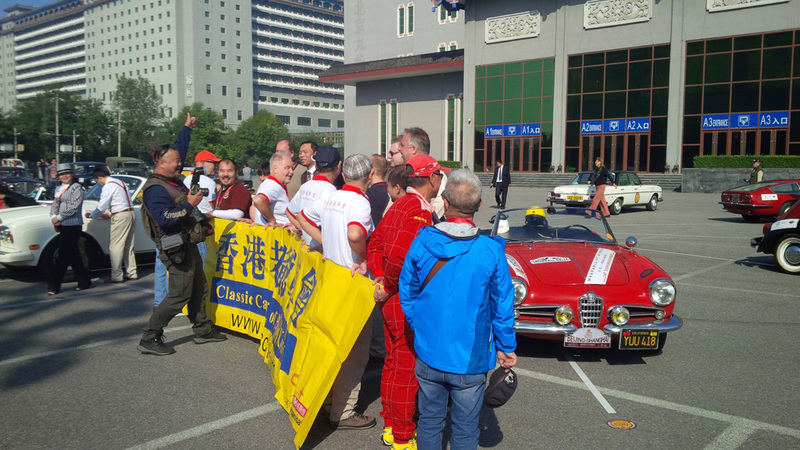 Next year will be another 4C rally in October 2017. If you are interested please contact us, so we can put you in touch with the organization in China.